It is made from high quality PP plastic material 18 wire thickness. 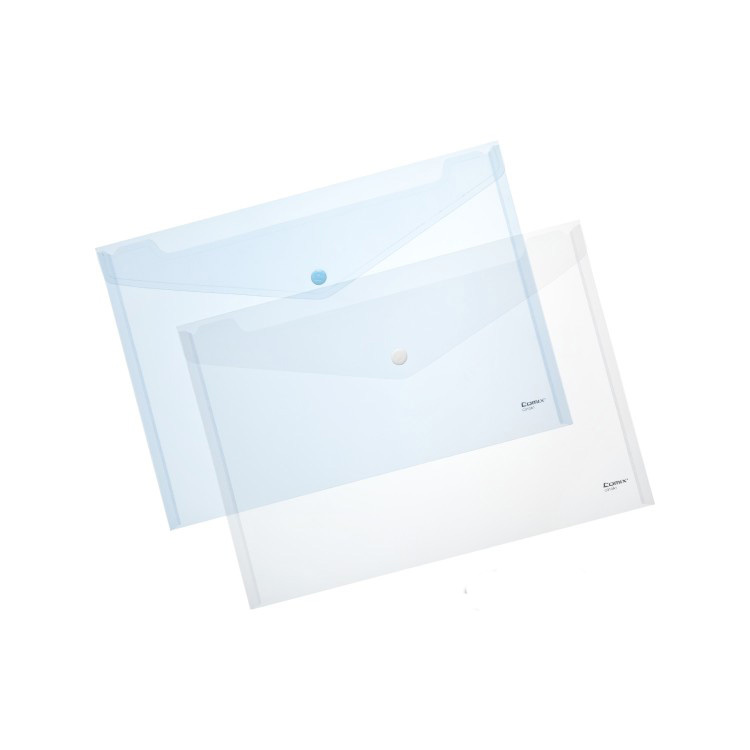 Clear translucent texture convenient to check documents, envelope shape holder classic, with plastic snap button to prevent slip off and easy to storage. Ideal for storing documents, files, office supplies and other learning material. Imprint Size: 5 7/8" w x 3 15/16" h.
Package: 100 pcs/opp bag, 1000 pcs/ctn, 66 lbs/ctn.